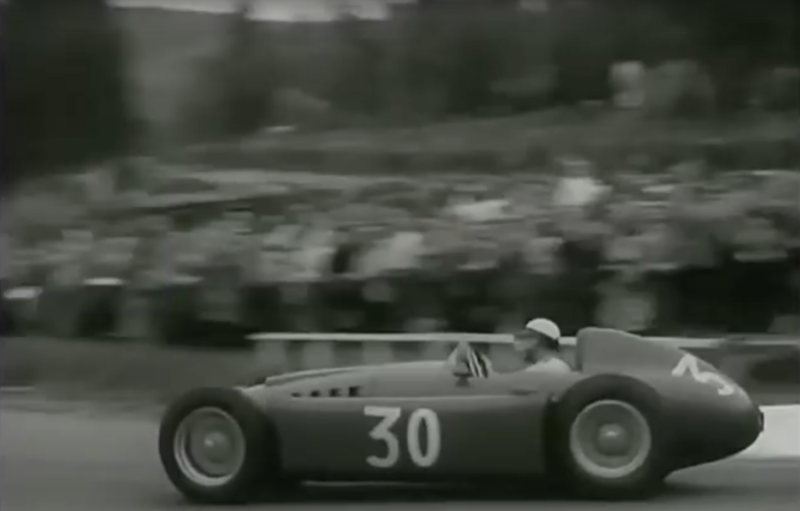 From Youtube, a wonderful video of the Belgian Grand Prix, June 5, 1955. 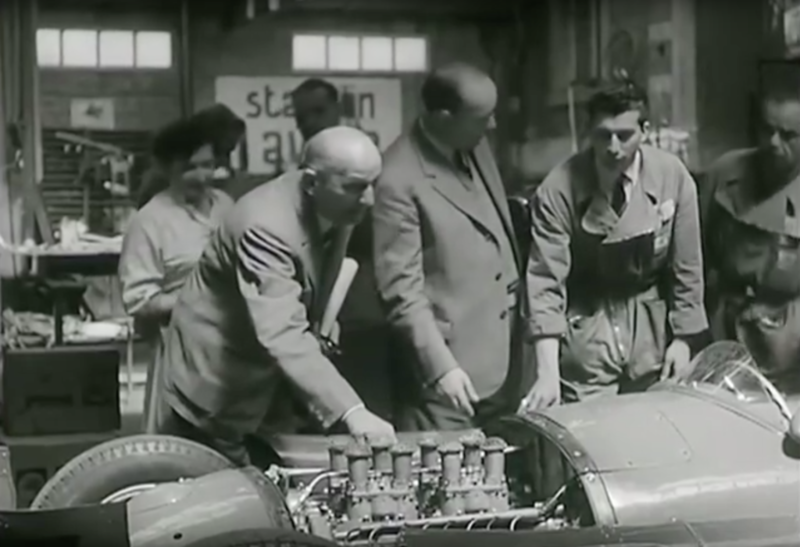 The race is dominated by Fangio and Sterling Moss, but the pole was won by Lancia. 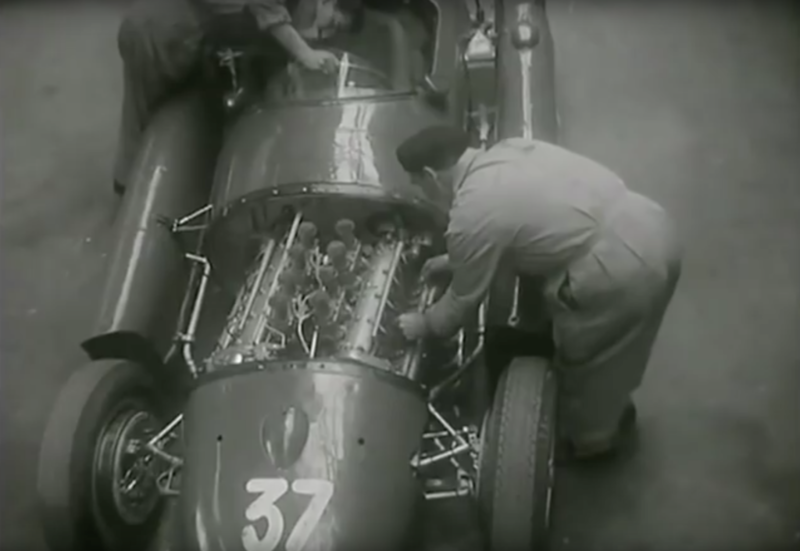 Even though 1955 was a crisis year for Lancia, as Jano resigned, Gianni left for America, and the race team was officially closed on June 1, Lancia nevertheless sent one car up to the Belgian Grand Prix with Castellotti. 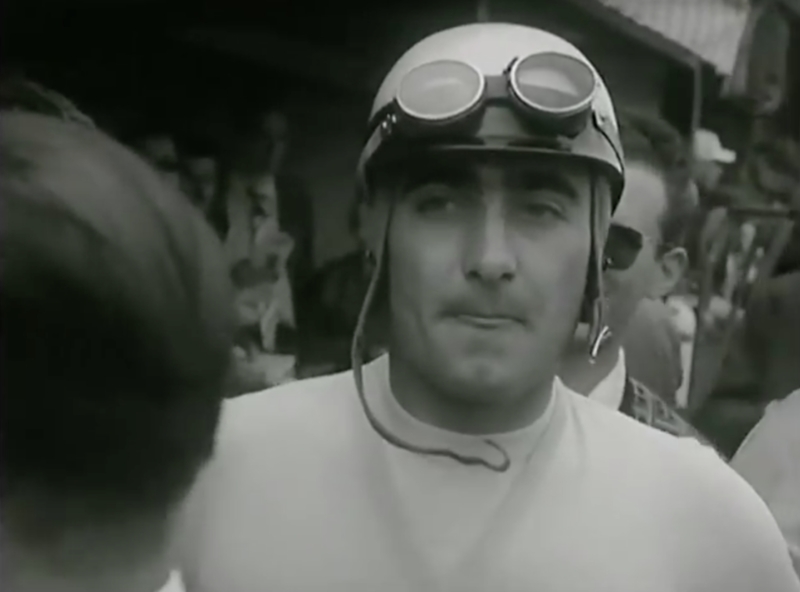 The film comment is that Castellotti brought his own entry, so perhaps it was privately sponsored? 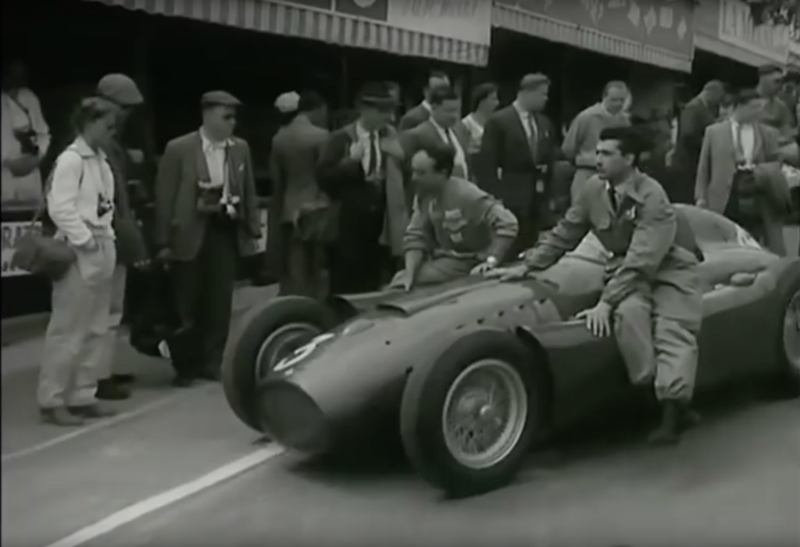 Having never run on the track, Castellotti in the Lancia takes the pole (!) 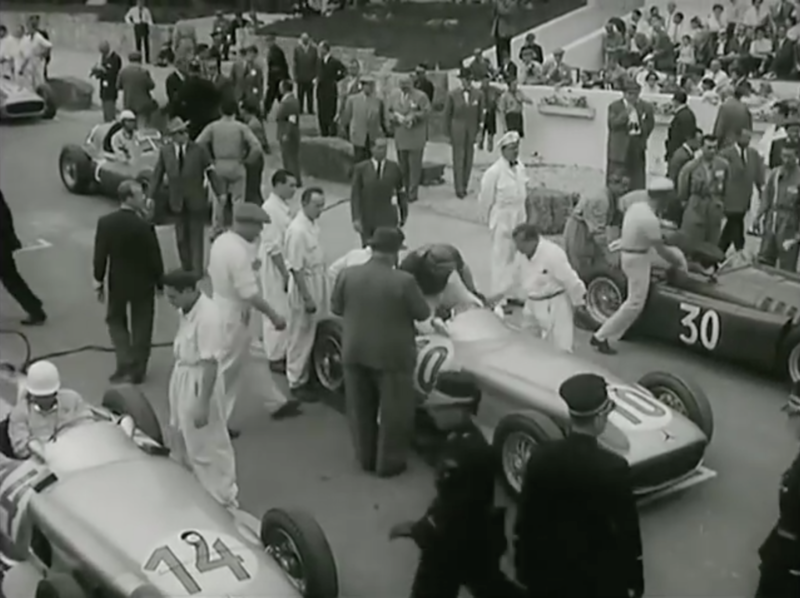 and runs for 17 of 36 laps behind the winning Fangio and Sterling Moss in their Mercedes. 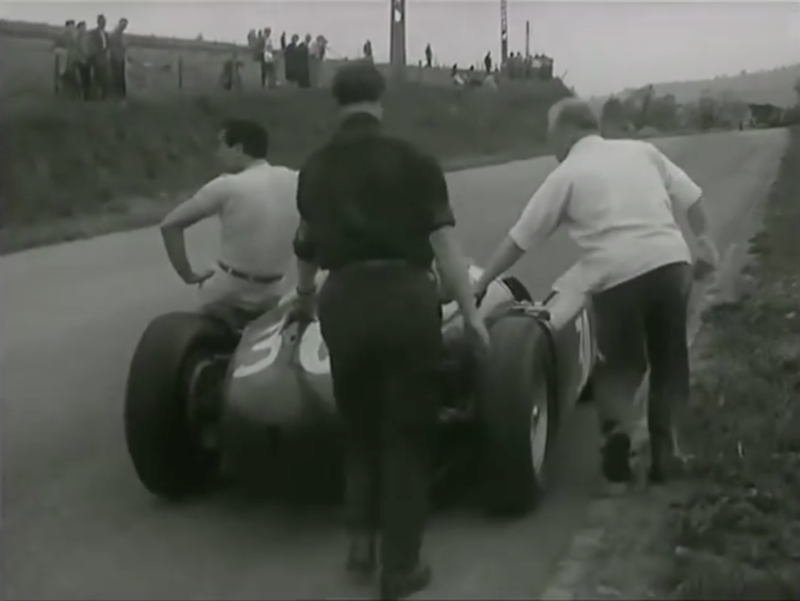 Midway through the race, the Lancia is out due to gearbox trouble, later listed as crown wheel and pinion problems. 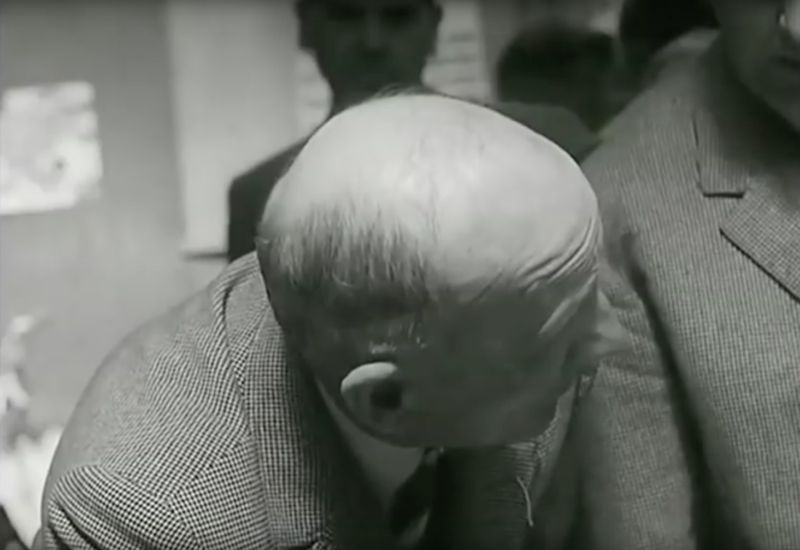 The film is full of period imagery, and sensitive photography. Delightfully relaxed, and politically incorrect, the narrative is of an era gone by, with simplicity, danger, and perhaps even a touch of snobbery… but all good fun.The images are striking and its really good footage and great scenery when policeman were protected by straw bales, kids played nearby, the pits were just a shoulder’s width from the racing. There is a dog on the track, and drivers and their girlfriends had tea by the track, served on china. team mechanics working on the car before the race. gearbox trouble, the car out of the race. They all look slightly relaxed. has somebody contact to the Lancia family, maybe Mdm Sassard or Manfredi Lancia. The family owned from 1961 to ? a sailing yacht, named SINTRA. I looks for more information, pictures, etc.. I’m sure, that Gianni Agnelli was a guest on this ship.